A week ago, I finished reading Francis Chan’s Crazy Love: Overwhelmed by a Relentless God. I was reading through it for a second time; this time, with a friend from work. 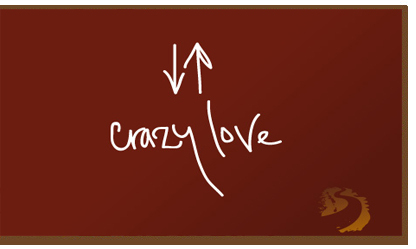 The first time I read Crazy Love was back in 2010 after I rededicated my life to Christ. It was the perfect read for someone who had been walking in the world. It showed me what it meant to be loved by a holy God, and what it looks like to be in love with Him, and to follow Him. This time, as I read Crazy Love from the perspective of someone who’s been walking with the Lord for some time, I felt convicted for my complacency. Many people criticize Francis Chan for his “unrealistic” views of what it looks like to be a follower of Christ; but when I read the New Testament, I find everything he says to be biblically accurate. Chan challenges his readers to rise above the comfortable life of the “normal American Christian,” to open their eyes to the true heart and calling of Christ, and to follow the examples of the early Church. God doesn’t want lukewarm Christians (Revelation 3:15-16)! He wants us hot! He wants us passionate about Him and passionate about reaching the lost. We’re not called to just meet once or twice a week and study the word, we’re called to be doers of the word (James 1:22-25)! The fact that Chan had to write a book to tell us this, when we could just pick up the Bible and read it for ourselves, says a lot about the state of the American Church. I finished this book being reminded that my job as a follower of Christ isn’t to just sit in a pew, it’s to be Christ’s hands and feet in the world, to share His truth and love, to be intentional. I don’t know about you, but I don’t want to be “normal” and I don’t want to serve “leftovers to a Holy God” (Chan, 2013). He deserves my best, my all! So, whether you’re a new believer, or someone who’s been walking with Christ for some time, be sure to check out this book for a quick spiritual check-up.